Cardamine pratensis. Pretty palest pink and white flowers on stiff glaucous stems with a ferny rosette of leaves. 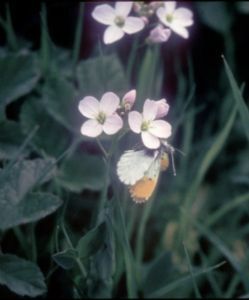 Likes damp conditions.Larval foodplant of the Orange Tip butterfly. strips of 4 plug plants available.